This is a one of a kind deck. 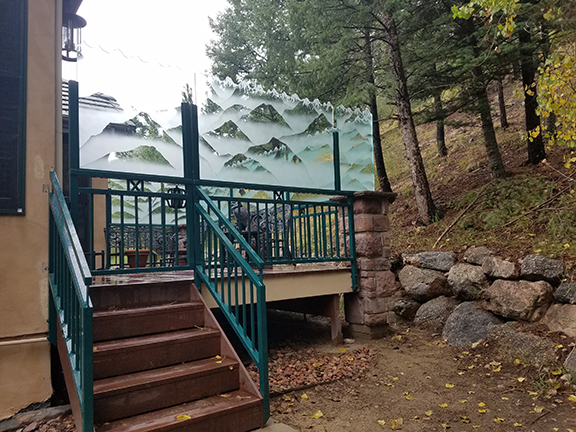 Originally a simple redwood deck, the owners wanted wind protection. 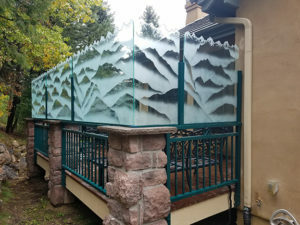 We upgraded the deck to have glass on top of the railing with a rocky top cut and unbelievable etching for a final touch. Since this is close to Cheyenne Mountain Zoo and you can have some unexpected guests (Bears, etc.) 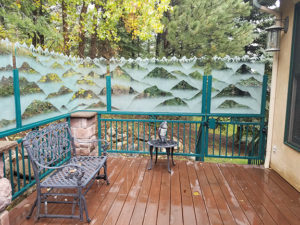 we added a self-closing gate with a hydraulic mechanism to ensure closing and latching.